The JB Media Institute provides online marketing training for internal and freelance marketing professionals as well as those who wish to learn more about digital marketing. Our core product is a comprehensive, interactive internet marketing training program available as a 12-week online course. We also offer an on-demand, more concise online training program called the Introduction to Content Marketing. Furthermore, we also occasionally offer half-day bootcamps in the Asheville area as well as custom coaching for groups, one-on-one consulting, and a new Asheville-based monthly peer coaching group. Our classes teach search engine optimization, social media, online advertising, online public relations, and strategy. Launched in 2013, the Institute was developed from customized Internet marketing training programs created for JB Media Group clients. Because they are rooted in real world experiences, Institute classes provide up-to-date and in-depth information, strategies, resources, and tools for successful Internet marketing campaigns. The marketing professionals and business owners who take our 12-week online program learn from professionals who specialize in the online marketing subjects they teach in Institute courses. 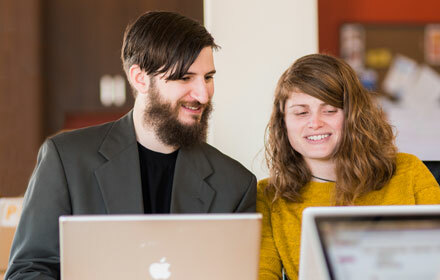 Guided by Institute faculty, students create real Internet marketing plans for their own companies, organizations or personal projects to apply what they learn in the program. Work at your own pace & on your schedule! 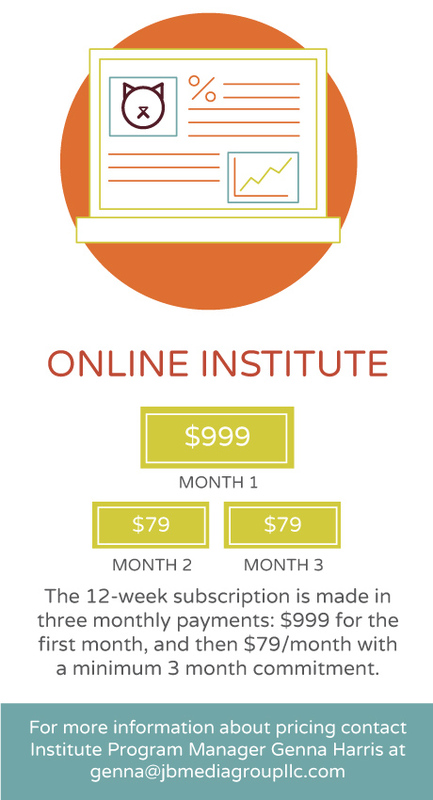 The Online JB Media Institute is an integrated Internet marketing training program that covers the full spectrum of tools, strategies, and tactics included in a complete online marketing campaign. Taught as complete program rather than individual classes, our students learn how the elements of online marketing work together to get results that increase visibility for their business or organization and improve ROI. Learn best practices to leverage the right social media platforms to promote your business, brand or product and how to evaluate the success of your efforts. From the foundation of keyword research and Google Analytics to the latest updates by Google and other search engines, find out the best way to approach SEO to gain traffic. Find out the best way to select, pitch and create relationships with the right media to achieve your publicity goals. Paid advertising offers businesses and organizations another tool to get brand exposure and reach new audiences. From Facebook ads to Google Adwords and Google Grants for non-profits, there are many options to consider no matter your budget. No Internet marketing training program would be complete without tools for reporting, project management strategies, task delegation, and big picture strategy development. These concepts are woven into the overall curriculum so that you can immediately and effectively apply what you learn. Is This Internet Marketing Course For You? 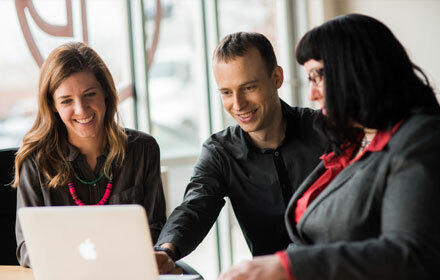 Marketing professionals – Whether you are an internal or independent marketing professional, Institute classes provide expanded skills and knowledge, translating into value for your business or clients. Administrative staff – Online marketing responsibilities increasingly fall onto the task list of administrative team members. Our training program is designed to add valuable skills and career development for your staff. Entrepreneurs / business owners – Any business owner that relies on the Internet for marketing and business development will acquire the ability to oversee strategy and manage the implementation of online marketing efforts by staff or outside vendors. Interns – Businesses looking to enhance their online marketing efforts can sponsor an intern to complete our Internet marketing program on behalf of their company. The JB Media Institute team can work with existing interns or help recruit and place new interns. Career transition – A comprehensive understanding of online marketing can provide strong career development opportunities and marketable skills. Ready to learn more? Contact us for details on our upcoming sessions. Contact us for more information regarding JB Media Institute, our comprehensive Internet marketing training program. What is your current budget for digital marketing training?